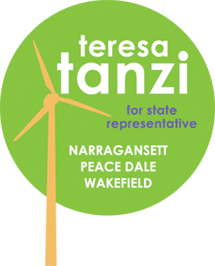 This letter is written in support of Teresa Tanzi (D-District 34) of Narragansett, Peace Dale and Wakefield, who is running for re-election. People often say you only hear from politicians around election time. Nothing could be further from the truth with Tanzi. I have witnessed first hand her commitment to helping others. My sister, who lives in Peace Dale Estates, is confined to a wheelchair and has faced several issues over the years with housing and mobility. Tanzi has been there for us to resolve these issues, and help my sister to improve her quality of life. She also called my sister several times a week to be sure she was OK.
Over and over again, I am impressed with Tanzi’s character, her availability, and her dedication to her constituents. Who else publishes their cell phone number so their constituents can call when they need help? Well, Tanzi does, and my family and I will be supporting her on Sept. 13.